It’s been a tough week in the Perrin home. We lost a pet this week. She was our 8 year old Papillon. Sweet and loving dog, annoying barker, but you always knew someone was here for a visit. My husband brought her home from the office one day 8 years ago. He knew I’d been wanting another dog and he knew I’d looked at Papillons. A gal he worked with had a elderly parent who’s puppy was too much for her, so she gave the puppy to us. I was so excited and so were the kids. Jordan was 10, Micah 8. Perfect time for a new puppy. It didn’t take long to see who her favorite family member was. Mia attached her self to Jordan and never looked back. She has been a faithful, loyal and loving pet these last several years. This last week she had a few sick days. She wouldn’t eat or play. Jordan even tried to take her for a walk and she just slowly walked by his side. We’d made an appointment with the Vet for Thursday, but by Wednesday she was back to her old self again. I figured she’d eaten something in the yard that didn’t agree with her. Exactly one week later, in the early hours of the morning, she had a seizure and died. She’d never had seizures before. She slept with Jordan, so he was with her, but he really had no idea what to do. My husband and I were out of town celebrating our anniversary and Jeffrey’s mom was hanging with the kids. Not wanting to wake Nana, he made a few frantic calls to different vet clinics, but hey were closed. He called 911 and thankfully they directed him to a 24 hour clinic. Unfortunately it was too late for Mia. The employees at the vet clinic were super. They took great care of Mia and didn’t charge Jordan a dime. Needless to say, Jeffrey and I cut our trip a day short and headed home. My heart is broken for my son. I will miss Mia, but I hurt for Jordan. Loss is a tough thing and over the last 2 years we’ve had our share. Loosing my dad November 2013, more than 1 church member in 2o14 and 2015 and now losing our pet; Jordan’s best friend. I didn’t handle losing daddy very well and after we lost our church member in 2o15, I felt the pain of loss like I had just lost daddy again. Now loosing Mia, I am so sad. We are all so sad. However, my biggest question is how do I help Jordan deal with such a loss? I did a little reading and found a great list of what to “do” and what not to “do”. You can find that list on www.petlossathome.com. Thankfully, my teenage son will talk with me. He’s been randomly saying things about Mia or how he feels. He will let his emotions show and allow Jeffrey and I to comfort him. Mostly, we haven’t said much. Mostly we have just listened. We are going to him several times a day to check on him. To love and hug on him; to see if he needs to talk. I think right now that is the best way to help him. Jordan recognizes the value in showing those we love how much we love them through this situation. That’s a good life lesson. God’s word tells us to live each days as if it is our last, because you do not know what tomorrow will bring. I reminded Jordan as he said things to me, that this is the very reason I insist on saying goodbye when we leave, and having he and his sister say goodbye to each other as well. It’s important to me. That way there are no regrets. Jordan’s a tough kid. I am very proud of how he is dealing with this loss. I pray as the days and weeks come and go, that the pain will become less and less. I pray that we will find our groove again. That the inevitable new normal will set in quickly. I believe no matter the loss, the grief process will be the same. A day into this, I am experiencing a few of the 5 Stages of Grief . So far, I have been back and forth through denial, anger and probably bargaining. I think a little depressing as well. I feel the cut of pain so deep since losing my dad less than 2 years ago. I miss him. I miss Mia. I miss our friend from Church. I cannot believe they are gone. God is always good though. Jeffrey reminded me of some of the reading we’ve done this week on Proverbs31.org and Biblegateway.com. 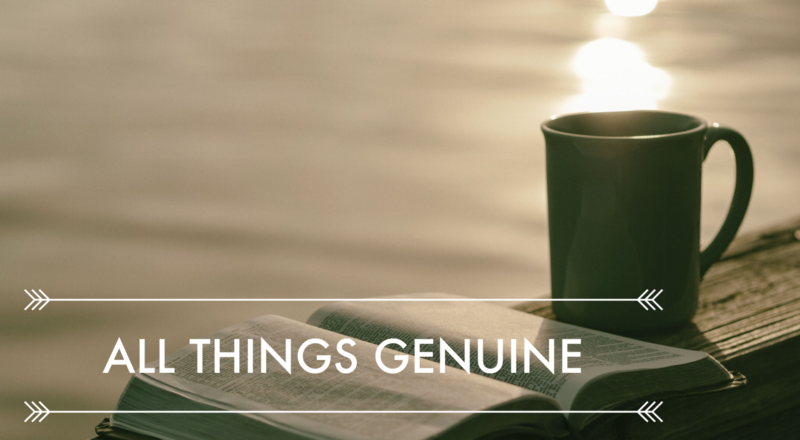 God has been gently comforting us with His Word. Letting us know He understands and that He uses all things for the good of those who love Him. Romans 8:28. If you’ve been here before, you might have seen my post on Grief. If not, you can read more details about the 5 Stages of Grief on my post Grief How “Not” to Handle It. There is also a free printable link on the post for symptoms and effects of grief. There are a few cliches that people say often to someone who is grieving. One of them being “time heals all wounds”. I guess that’s true to a degree. However, the wound isn’t healed I do not believe. I think we just learn to accept the situation for what it is and try to move on. The Hope is that with each passing day, the pain becomes less. Not because we love less, but because we learn to love and live again. 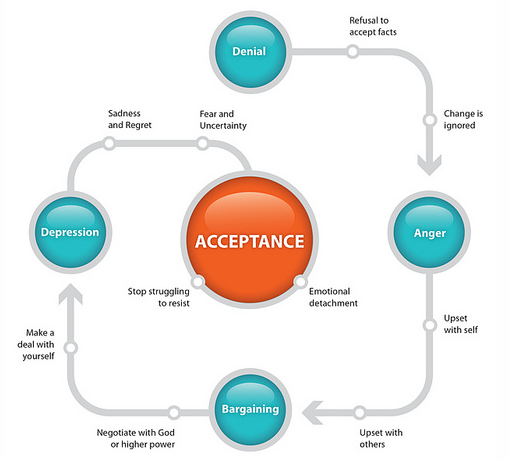 We process through the stages to acceptance. That process just takes time. Jeffrey and I had already been planning a puppy to join us this summer. Jordan has been wanting a German Shepard for a few years now, but finding one at the right price has been a challenge. However, in March we found a breeder that is expecting puppies in June. I called them again in April and they said they would keep our number and let us know when they were ready. So, we told Jordan about our plan, but only because he had brought it up first. Of course the idea of a new puppy doesn’t take away the pain, but it does bring Hope. It will still be a few months before we add our new addition. I am thankful for that, so we can all adjust to the loss. To honor Mia. Has your child lost a pet? Can you see how they’ve moved through the 5 stages of grief? How did you help them through?